From counting calories and reading small fine print on packages, to spending hours sweating it out in the gym, attempting to lose weight alone can prove a heavy burden for many people. But Tony Ferguson believes it has a solution with its 12-week weight loss program. This features weekly meal plans made from more than 50 healthy recipes, as well as exercise tips to help you continue your health journey after completing the program. To help break down what the weight loss brand has to offer, we’ve listed a variety of the products available and their prices. Sign up to the Tony Ferguson 12 Week Program to unlock great savings each week. Offers available online and in-store at TerryWhite Chemmart pharmacies. The Tony Ferguson 12-Week Program is designed to achieve healthy weight loss and includes access to weekly meal plans, recipes, promotional offers and exercise tips. It is also claimed to be developed and supported by an Accredited Practising Dietitian and Personal Trainer. As part of the program, you’ll be given a weekly meal plan for each week. This includes one or two of Tony Ferguson’s shake options. But for moments when you want to take a little stretch outside the recommended plan, there are more than 50 alternative recipes to choose from. You’re similarly allowed to swap out snacks. Exercise is also recommended as part of the program, but not compulsory. This can range from a 30 minute walk, attending a fitness class, kicking a ball with the kids or just simply making small changes in your day to increase your level of physical activity. But if you have any medical conditions, make sure to ask your doctor before venturing into a new routine. Diet fads are notoriously known for helping people achieve short-term weight loss success, only to pack on the pounds after the diet is done. The Tony Ferguson Classic Shake Meal Replacements are claimed to be a more sustainable solution, and one which doesn’t steer too far away from how much a person would usually consume when not on the challenge. So, you can continue indulging in healthy habits and keep the weight off after the program. This particular option requires consuming one or two Tony Ferguson meal replacements each day. The different flavours include chocolate, vanilla, espresso, strawberry and salted caramel. 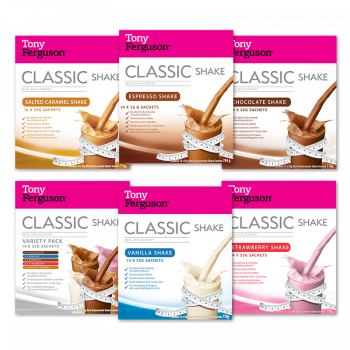 Tony Ferguson Classic Shake Meal Replacements are not suitable anyone under the age of 18, as well as women who are currently pregnant or breastfeeding. 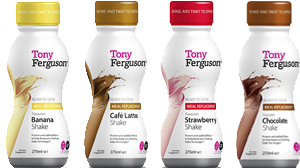 Tony Ferguson’s Ready-to-Drink Shakes may be an ideal substitute for busy people who don’t have time to prepare a smoothie using the Tony Ferguson Classic Shake Sachets. These meal replacement options are apparently designed to keep you feeling fuller for longer, but must not be used to replace a person’s total diet. You can either get a 12-pack or a 6-pack of the Tony Ferguson Ready to Drink Shakes. The flavours currently available in the range include café latte, chocolate, banana and strawberry. The company claims each shake gives you high protein and a good source of fibre. It is also apparently gluten free and does not have any added fructose. Need to squeeze into new dress or a fancy tux for an event in a few weeks? Tony Ferguson’s Very Low Calorie Diet (VLCD) is intended for people with a short-term weight loss goal and is recommended to last no longer than 12 weeks. If you’re planning on starting the program, the company also suggests doing so with medical or dietetic supervision. 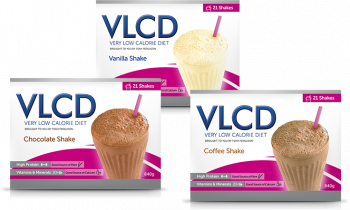 This specific weight loss approach includes products like the Tony Ferguson VCLD Shakes. These are said to contain just 145 calories per shake and only require water. It is also stated to fill you up with a good source of protein, dietary fibre and calcium. The various flavours include chocolate, coffee and vanilla. The Tony Ferguson VLCD is claimed to be ideally suitable for people under the age of 65 who have a BMI of at least 30. 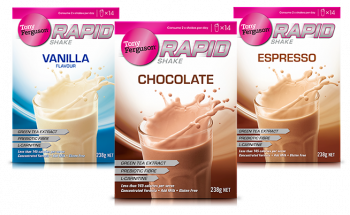 If you’re on the Tony Ferguson Rapid program, or planning to start the challenge, the Tony Ferguson Rapid Shakes are for you. The company claims each shake contains fewer calories than one of its own Classic Shakes to help you drop some weight a little bit quicker. The shakes are also stated to include green tea extract, prebiotic fibre and L-Carnitine. Made with fewer than 145 calories, the different flavours include vanilla, chocolate and espresso. If drinking the shake tastes grueling, the brand recommends adding milk to create a ‘milkshake taste’. For anyone who doesn’t know what to cook during the 12-week challenge, Tony Ferguson’s Heat and Serve Soups might be a delicious gluten-free option. You can also a slice of bread to turn it into a full meal replacement. The flavours currently available are pumpkin soup and creamy chicken soup. When it comes to weight loss, snacks always feel like the enemy. Right? The Tony Ferguson 12-pack Chocolate Brownie Bars may not be so bad, and are designed to keep you feeling full for longer. This is a meal real replacement which can be consumed instead of a shake. Does Tony Ferguson offer the best diet for weight loss? Tony Ferguson claims its program is intended to help achieve a long-term solution to losing weight, an approach not usually taken by certain diet trends. It’s designed to ‘kick-start’ your weight loss journey with a variety of recipes, in addition to the temporary meal replacements supplied each day during the 12-week program. The tips and ‘exclusive support’ might also be a good way to learn how to incorporate healthy habits into life after the program. There are no weight loss pills or weight loss supplements here. 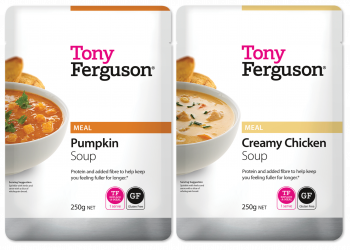 Tony Ferguson products are available from different pharmacies across Australia, as well as through its online store. For shipping, orders costing more than $100 are free. Otherwise, $10.95 will be added to your cart. Orders are said to generally take up to three days to arrive in areas such as New South Wales, Victoria, South Australia and metro Queensland. 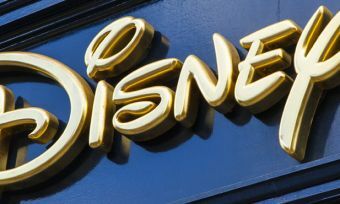 Residents in Western Australia, Tasmania, regional Queensland and the Northern Territory will alternatively have to wait between five to six days. If you think the Tony Ferguson 12-week weight loss program is for you, you can sign up on the website and snag yourself one of the special offers. But don’t just settle on any weight loss plan. Check out our latest customer satisfaction ratings for weight loss shakes via the link below.